1. Dimensions: The length of the I-beam’s side is short and its height is high, while the H-beam is with the groove depth and large thickness. 3. 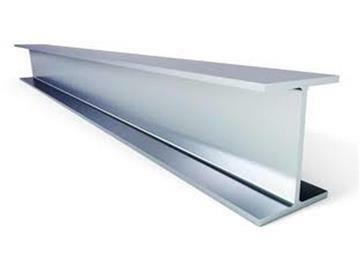 Usage: I-beam only for steel structure beams, while the H-beam is mainly used for load-bearing column structure. 4. Forming points: I-beam is shaped rolling mills, while the H-beam welding molding. 5. Cross-sectional dimensions: I-beam cross-sectional size is small, but big H-beam cross-sectional dimensions. 6. Shape: I-beam lines are inside the arc, while the H-beam is no arc, and each side is flat. 7. The I-beam can be used directly, while the H-beam machining is required after soldering: from the use of processing welding.